Symphony of the Kootenays takes a turn to the cool with a program of orchestral music influenced by jazz. 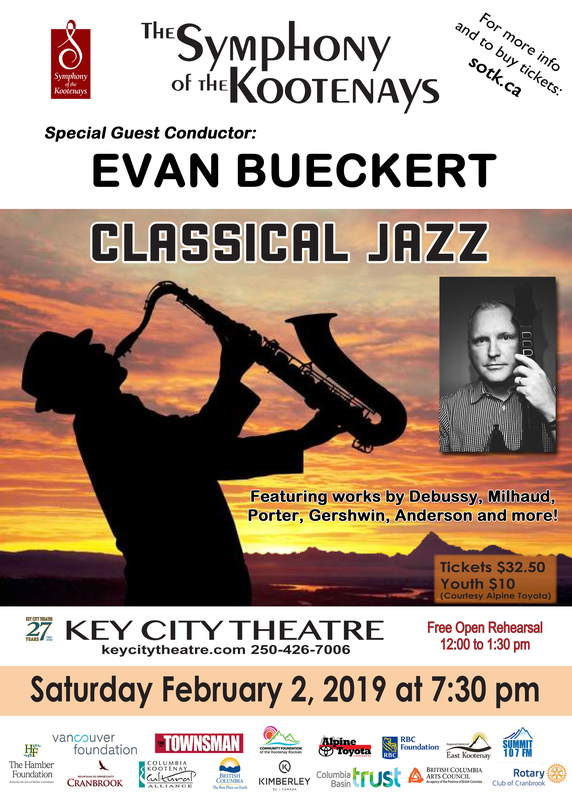 Mount Baker Secondary School Music Director Evan Bueckert takes the baton to lead the orchestra a program that will heat up your winter night! Hear how early jazz influenced composers like George Gershwin, Claude Debussy, Leroy Anderson and more!